Elle Nesher, Founder and President, built Element Moving and Storage with attention focused on excellence. 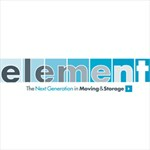 Element Moving and Storage, the NEXT generation of moving and storage was founded on the ELEMENT principals. A local, Dallas based moving company that provides a flawless; stress free move is the NEXT generation in moving and storage. ELEMENT principals are not just guidelines; they are a way of life. In a male dominated industry, Elle Nesher, Founder and President, built Element Moving and Storage with attention focused on excellence.